Residents of homes at The Village at Lake Martin, above, may not live directly on the water, but they can still easily enjoy its beauty and activities. Golf carts are allowed and common docks are available. The community has a pool and fitness center. Photos courtesy Slate Barganier Building/Stock. Many families dream of one day spending long lazy summers at their own idyllic waterfront lake home. 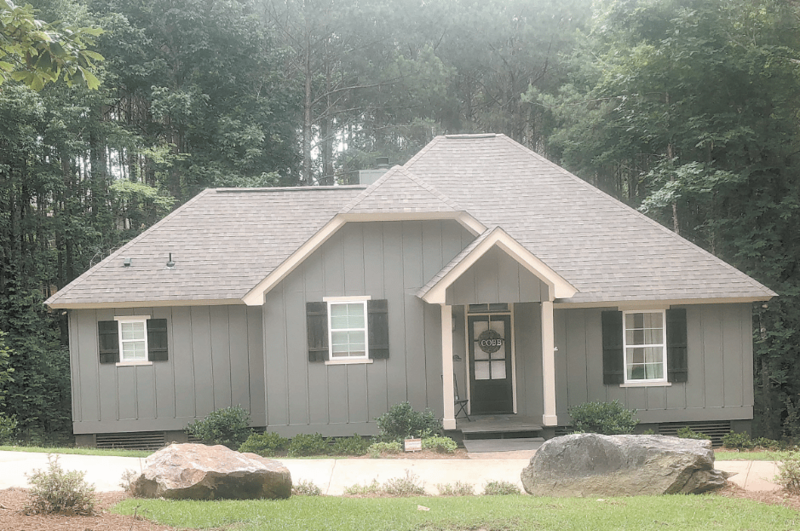 For young families, it is a distant dream as they save up to afford one by the time grandchildren come around but Vestavia Hills builder Cameron Eaton said it doesn’t have to be that way. “Young families, who by their mid-30s have made their way in the professional world, are financially at the point where they are thinking about vacation property. There are entry-level options for lake living,” Eaton said. 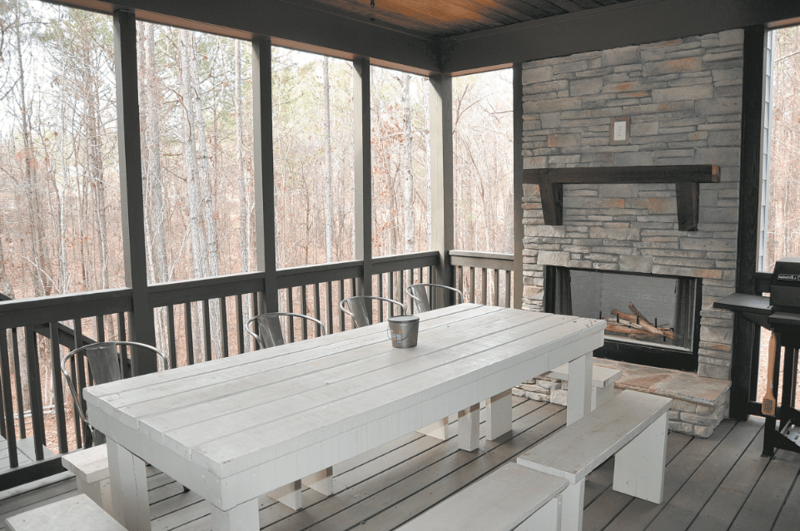 While the craftsman or cabin styles remain popular at Lake Martin, clients make homes their own through custom finishes such as beams or rustic accents. Eaton and Tison Barganier are the principals at Slate Barganier Building based in Vestavia Hills. 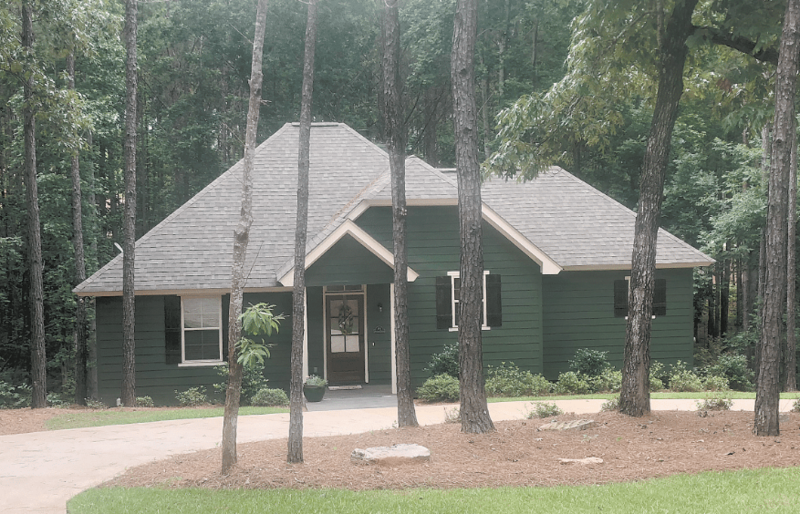 Responsible for grand homes and modest remodels alike in the Over the Mountain area, the company is also a prominent builder in the Lake Martin community. The majority of their lake construction appeals to a client looking to wade into lake life without spending millions. That holds true even if that means buying a lake home not immediately situated on the lake. Eaton said The Village at Lake Martin is a good example. Residents may not live directly on the water, but they can still easily enjoy its beauty and activities. Golf carts are allowed and common docks are available. The community has a pool and fitness center. “They are one of the places that has been successful with off-water stuff. Young people enjoy it and the price point is right. It still feels like you are in a mountain retreat,” Eaton said. Furthermore, Eaton said that, nowadays, the owner of a multimillion-dollar home in the Over the Mountain area may not want to live that way on the lake. A modest, more carefree home is the sweet spot. Another category of client drawn to the simpler, low-maintenance lake life is empty nesters. “We’ve sold a few to empty nesters with kids at Auburn who may want a place for kids to come on the weekends,” Eaton said. Slate Barganier Building has erected its share of large homes in the Over the Mountain area, but the company’s naissance keeps Eaton and Barganier grounded. The ever-busy company was founded in the depths of the 2010 recession, so its principals know a thing or two about making dreams come true on a budget. Plus, the two partners treat every modest project as a step on the way to a lasting client relationship. The same theory is true for entry-level lake construction. Eaton said buying a modest lake house doesn’t mean a client will never upgrade. 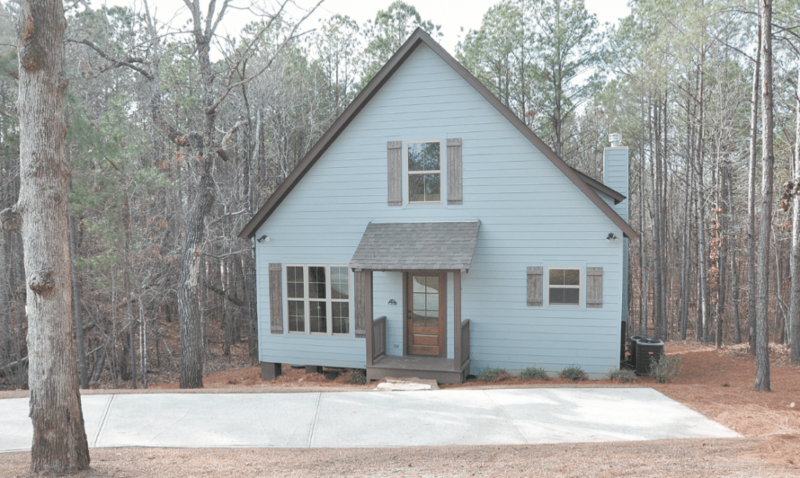 Whether a young family aims to enjoy lake life sooner rather than later or a retired couple longs to live the simpler lake life, a modest but quality home could be the answer.